At the beginning of the month, I visited Tulsa, Oklahoma for the second time since my best friend moved there late last year. From Northeast Missouri to Tulsa I went. To keep a fairly long story as short as possible, I drove to Tulsa on July 5th and had planned to stay there for only a few days. This trip included a short road-trip we took to Arkansas to attend our friend’s wedding. On Sunday, the day I was going to drive home, I popped my front right tire and messed up the alignment. I called roadside assistance, got towed to a nearby garage, and got my tire replaced just before it closed. As I pulled out of the shop, I became nervous, noticing just how messed up my alignment was. I called the shop and decided I would take my car back in the next morning and get it fixed. Unfortunately, they had to order a tie rod to be delivered from Dallas, which resulted in an extended stay in the city. To make matters a bit more complicated, my friend had just gone out of the state for another quick road-trip, but luckily I was able to stay in her apartment until my car was fixed. One new tie rod and four new tires later, I was good to drive back home. Question: what does a movie-and-Art-Deco lover do in a place like Tulsa with several days to spare? Answer: Naturally, seek out any old and/or independent movie theaters and as much Art Deco architecture as one can find. The city is full of it. 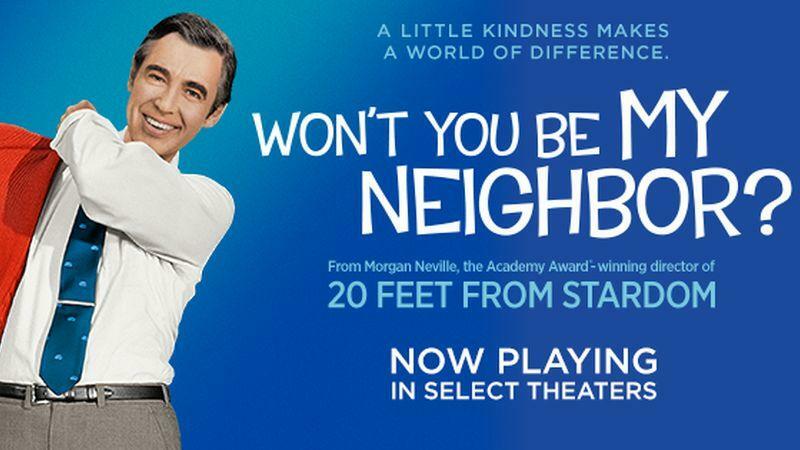 On Monday, a day after the “incident”, I decided to go see Won’t You Be My Neighbor?, the new documentary about children’s television icon Fred Rogers, star of Mister Rogers’ Neighborhood (1968 – 2001). I had originally planned on watching it at some point when I returned home, but because I was feeling pretty stressed, I figured a doc about Mr. Rogers would be a perfect remedy. (I was right.) Best of all, I tracked down the oldest functioning movie theater -and only independent theater – in Tulsa: the Circle Cinema, one of the theaters in which it was screening. If you watched Mister Rogers’ Neighborhood as a child or even as a parent, this documentary will feel extra special and will take you back to the era in which you tuned into the show. All it took for me was hearing the first few notes of the show’s beloved opening theme, which played toward the beginning of the documentary. The next evening – Tuesday – I returned to the Circle Cinema for a special screening of the 1949 Technicolor melodrama Tulsa. Directed by Stuart Heisler and starring Susan Hayward, Robert Preston, Pedro Armendáriz (who was popular in Mexico, his home country), and Chill Wills, Tulsa is set in the 1920s and tells the story of a young woman’s (Hayward) determination to strike oil in order to avenge the death of her rancher father at the hands of greedy oilmen. One of the Circle Cinema’s resident organists – who was in a high school marching band that marched in the parade for Tulsa‘s parade in 1949 – played several old musical songs before Tulsa‘s introduction began. One of the songs was “Who (Stole My Heart Away)”, a lovely song written for the 1925 Broadway musical Sunny. It was later sung onscreen by Marilyn Miller in the 1930 film adaptation of Sunny (seen and heard in the first clip below) and later Judy Garland in the 1946 musical Till the Clouds Roll By (second clip below). Tulsa appropriately had its premiere in Tulsa, Oklahoma on April 13, 1949 to a humongous crowd of excited Tulsans. Apparently Chill Wills held the parade up because he took the time to greet people who he passed by during the parade. I don’t know much about what he was like in real life, but I get the feeling that he was likely kind and good-natured, so I feel like that’s totally something he would’ve done. From Monday through Wednesday, besides the adventures I’ve described, I did a handful of little miscellaneous things, including tracking down several locations used in the 1983 film adaptation of S.E. Hinton’s The Outsiders. These locations were the Circle Cinema, the house where the Curtis brothers lived, and the drive-in. The first photo below is a still from the beginning of the film. I had actually already visited the Circle Cinema before I read that it was also used in the film. I finally made it home at around 1:00 AM on Friday, July 13. I was originally planning on going to Independence, MO – about a 3 1/2 hour drive – for the Ginger Rogers Festival being held that weekend. However, I made the decision to stay home, which was ultimately a good decision. Part of me really wanted to power through and go, but another part of me just wanted to stay home and rest – and save my money. Never underestimate the fun a cinephile can have in any circumstance or location. Wow, I really appreciate your comment! Thanks for reading this and I’m thrilled you were inspired to do your own research on the city. It was a real eye opening on a wonderful looking city. Shame it’s so far across the pond from me but hey one day you never know. That was very interesting! And going places that connects with your passion can be so rewarding. I have some Facebook friends who come from Tulsa so obviously this grabbed my curiosity 🙂 The Circle cinema looks a bit like the one where I work in Montreal. Another old and independent theatre! Thanks for reading this and I’m glad you enjoyed it, Virginie! So cool to hear you work in a similar-looking theater.